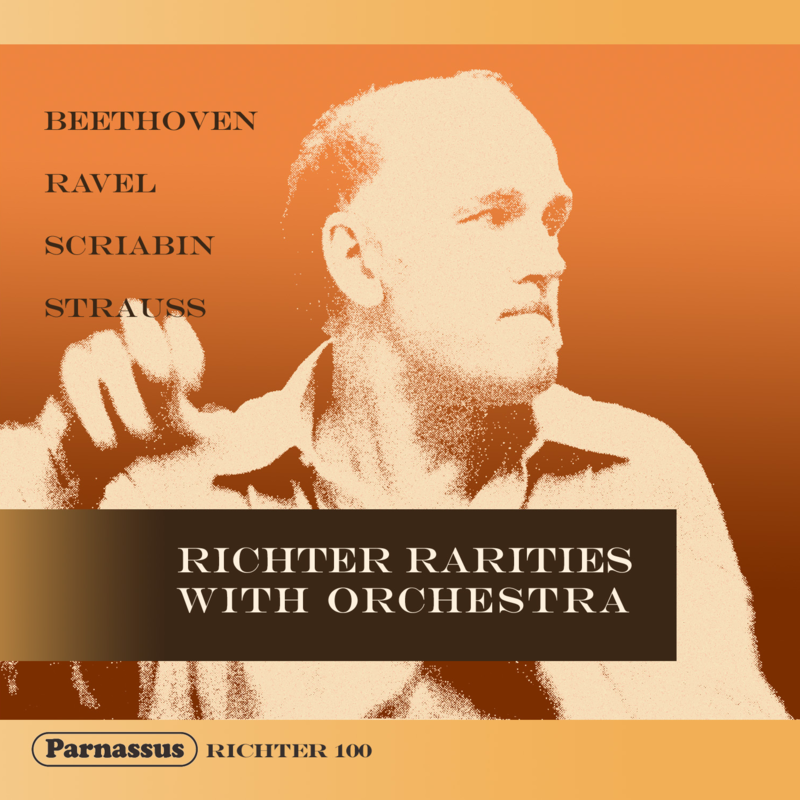 The Beethoven Rondo was performed on May 8, 1962, as an encore to a program which was made up of Beethoven’s First and Third Piano concertos, the only ones Richter ever performed in public. He recorded the Rondo for Deutsche Grammophon in Vienna the following September. This is the only live performance of this music by Richter we have. Richter performed the Ravel Concerto for Left Hand with Riccardo Muti conducting in Genova, Italy on June 14, 1969. He performed this work twelve times altogether, but this is the only recording we have of him playing it. Richter’s affinity for the music of Scriabin is well known. He performed that composer’s music throughout his career. As usual he made his own selections of the pieces he felt special affinity for, but they were voluminous selections. He first performed the piano part of Scriabin’s “Prometheus” in 1972. On April 12, 1988, he revived the work for a single performance, as part of a celebration of the 100th birthday anniversary of his teacher Heinrich Neuhaus. On both occasions the conductor was Evgeny Svetlanov. The performance heard here is that first performance of the work by Richter, April 3, 1972, previously available only on a limited edition CD-R issue from Russia. The “Burleske” of Richard Strauss is that composer’s only piano composition that remains in the active repertoire, and it is the only music by Strauss that Richter performed. A concert recording from December, 1961, conducted by Gennady Rozhdestvensky, is relatively well known and has been issued numerous times. However, Richter had also performed the piece on September 9–his only concert of that month–in Bucharest, with the eminent Rumanian conductor George Georgescu. This recording was issued in Rumania and on a couple of very obscure private labels.